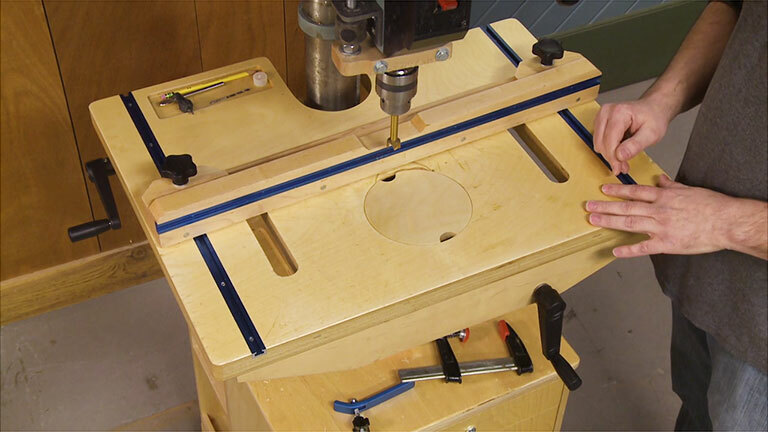 Building a table and fence for your drill press makes it easier and safer to support a large workpiece. But the table can get in the way of the height adjustment crank. This table gives you easier access with some smart hardware solutions.